If you’re here, you already know that vitamin C is good for you. Perhaps you take it orally, or maybe you came across a serum that really befits you. Either way, you’re doing your body some real good. Vitamin C is also a celebrated skin care powerhouse – and has been since the 30s. Its list of advantages is never-ending, and as a result, there is a myriad of vitamin C serums and creams on the market. And there is a big appetite for them. Vitamin C reduces sun damage to your skin by safeguarding it from harmful ultraviolet light. However, It doesn’t work like sunblock, which absorbs ultraviolent light in the UVB and UAV spectrum. Alternatively, the antioxidant properties of Vitamin C defuse free radicals that are produced when ultraviolet light or other environmental stressors like radiation or pollution combine with your skin. Collagen is the substance that your skin requires to produce hydroxyproline and hydroxylysine, which are both needed for combining the molecules that form collagen. This is the substance that keeps your skin firm and gives it that toned look. When your skin is collagen deficient, it looks dull, lifeless and limp. By increasing your collagen production, you can reduce wrinkles and prevent signs of aging skin. Vitamin C corrects skin texture by frequently rejuvenating skin cells, which helps keep the tone light. Additionally, Vitamin C also produces the collagen that keeps the skin cells and tissues firm and intact, while supplying it with the necessary amount of moisture so that it remains smooth and radiant. Vitamin C helps reduce the formation of under-eye circles and even out skin tone. This is ideal for those who are sick of trying to hide the dark circles underneath their eyes and want a more vibrant, bright and youthful look. Regardless of your age, it’s always a brilliant idea to be proactive about preventing fine lines, wrinkles, sagging skin, and other signs of aging. Vitamin C can help your skin look youthful for longer, not only by promoting collagen production, but by brightening your complexion and evening out your skin tone as well. Yes, vitamin C helps with moisture and hydration too. If dryness is your thing, then you need to incorporate vitamin C serum in your daily beauty regimen. Owing to the high concentration of vitamins, it drenches your skin with important nutrients that help prevent dry skin. Vitamin C affects cells outside and inside the body. Clinical Studies show that higher vitamin C consumption is linked to a lower probability of dryness of the skin, a wrinkled appearance, and a better skin-aging appearance. When you hear of vitamin C, the term “brightening” or “brightness” normally follows. This is because strong concentrations of vitamin C polish dull, dreary skin to bring to light a healthier, brighter, smoother complexion. Vitamin C helps expedite the face and body’s healing process altogether. If you suffer from nasty blemishes or breakouts on your face, vitamin C will help accelerate the healing process. Psoriasis, rosacea, and acne are widespread skin conditions that most adults and teens face. Vitamin C helps remedy and prevent these problems. In addition to shielding the visible parts of your skin, Vitamin C also reinforces a strong defense against skin ailments that might be severe later. Since it has antioxidant properties, Vitamin C prevents skin from cancers and other skin disorders that are as a result of unshielded atmospheric exposure. 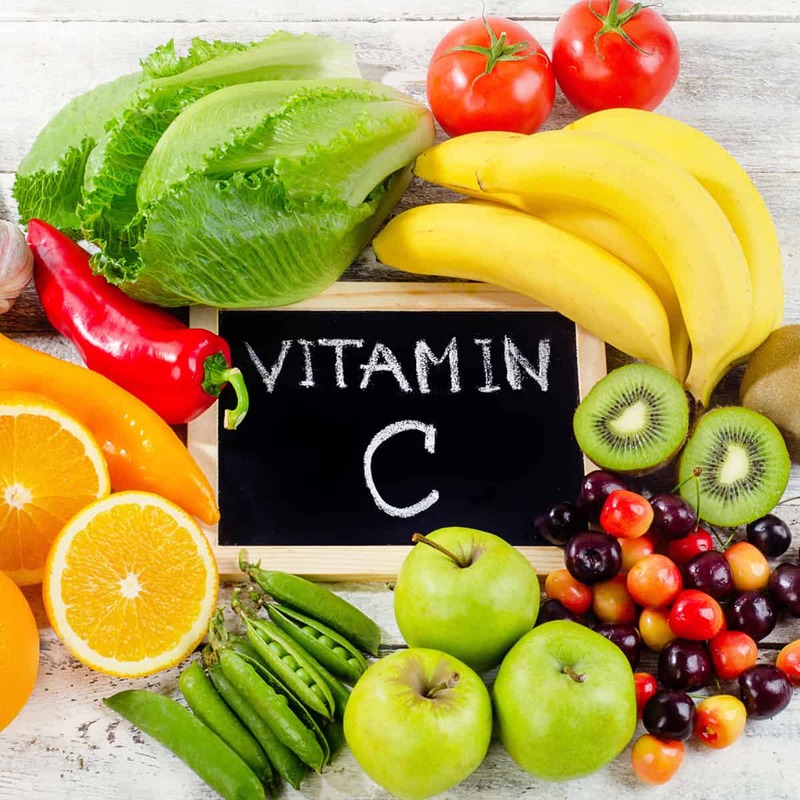 Vitamin C is also referred to as l-ascorbic acid and ascorbic acid and is present in lots of food, including dark leafy greens and citrus fruits. As highlighted above, it’s celebrated for its many health advantages and is also obtainable in supplement form for this very reason. Over the years the advantages of using it topically have been well studied, and it’s now amongst the most searched for skincare component. Provided that you use high-quality vitamin C products on your skin, you’ll start seeing results in no time. Some individuals have reported skin tone and texture changes in less than two weeks. Of course, this is just an estimate and will depend on many factors as well as how frequently you use it, what type of products you’re using and how well you take care of yourself. Which is the best type of vitamin C? Vitamin C is obtainable in different types. L-ascorbic acid is the most powerful form, but it is very tricky to stabilize in formulas. Consequently, magnesium ascorbyl phosphate and ascorbyl-6-palmitate are the widely used forms of vitamin C in skin care products, as they’re more stable. How much vitamin C should I be taking for my skin? For your body to get the most out of this wonderful vitamin, you’ll want to take it in the correct quantities and in the appropriate formats. You should be on the hunt for high-quality vitamin C serums for your skin. In oral form, take a minimum of about 60mg. To get the most out of Vitamin C however, you can go up to around 1000mg. The light-sensitive natural means that vitamin C is best used is during the night or with a quality SPF during the day. Some skin types can find it a bit irritating, so start by using it bi-weekly or weekly, instead of every night. A slight itchiness or tingling sensation when you first apply it on your skin is expected, but if you have a stronger reaction rinse it off. Evidently, Vitamin C is a powerhouse for skin health. It ‘s to be taken in plenty frequently since it’s water-soluble; which means your body won’t store it. Keep in mind that vitamin C levels in the body significantly reduce when your body is exposed to light, heat, air or sun for too long. Consequently, to have Vitamin C work for your skin’s health, you must apply, drink and eat it in generous portions. Have healthy skin Today and Tomorrow!